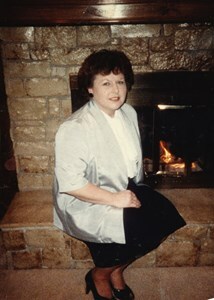 Joy Lynne Carley, 66, of Olathe, KS passed away January 17, 2019. Graveside service will be held at 2pm on Saturday, May 4, 2019 at Hill City Cemetery, Hill City, KS. Joy was born September 20, 1952 in Hays, Kansas. She was retired from TWA and a long-term employee of IBM. Surviving are daughter and son-in-law; Janny and Keith Engvig of Lees Summit, MO, Granddaughter; Victoria Wendt of Raymore, MO, Step-Grandchildren; Kristy Bloom of Raytown, MO, Brittany Smith of Peculiar, MO and Bradley Engvig of Lees Summit, MO, 4 great-grandchildren; Shane, Peyton, Easton, and Ella, brothers; Bert Carley of Henryetta, OK, and Terry Carley of Lenexa, KS, sisters; Judith Irwin of Salina, KS, Janice Harris of Lenexa, KS, and Gloria Rowlett of Olathe, KS. She was preceded in death by her parents Omer and Verda Carley, brothers; Gary Carley and Otis Carley, sisters; Barbara Carley and Linda Carley. In lieu of flowers, donations to Kansas City Hospice House at www.kchospice.org would be appreciated. Add your memories to the guest book of Joy Carley. My deep sympathies to you and your family. May your mother be at peace. Condolences also to Gloria, Janice and all of Joy,s family. I first met Joy when she was a young mother going to school. My mother had a day care center in our home and we cared for Janny while Joy went to work and school. I wasn't even a teenager yet and I got two sisters in this deal. I got an older sister in Joy and a little sister in Janny. They were a huge part of my teenage years and I treasure the memories of her.